I hate to be the one who brings this news to the tribe, to the magic Digikingdom, but the simple truth is that the Web, the Internet, does one thing. It speeds up the retrieval and dissemination of information, partially eliminating such chores as going outdoors to the mailbox or the adult bookstore, or having to pick up the phone to get hold of your stock broker or some buddies to shoot the breeze with. That one thing the Internet does and only that. The rest is Digibabble. 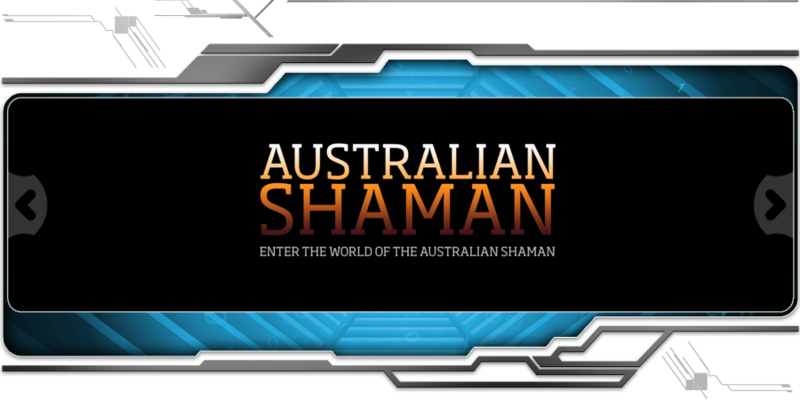 Aboriginal culture is proving to be one of Australia's most successful cultural exports. The digiridoo is played on the streets of Amsterdam, London & Tokyo by street buskers and the top Digiridoo Youtube clip has had more than 900,000 views. Art by traditional aboriginal painters fetches more than triple the revenue collected by any other Australian painting art form & is collected & hung by serious national galleries accross the world. We hear about corrupt politicians all the time and in this regard Western Australia is no different to the rest of the world. If you've ever wondered where the following quote comes from, follow the link to the following Economist article. The psychology of power. Absolutely. Power corrupts, but it corrupts only those who think they deserve it. Commercial operation for the first time however, it will also deliver Carnegie its first project based revenues from the sale of power. 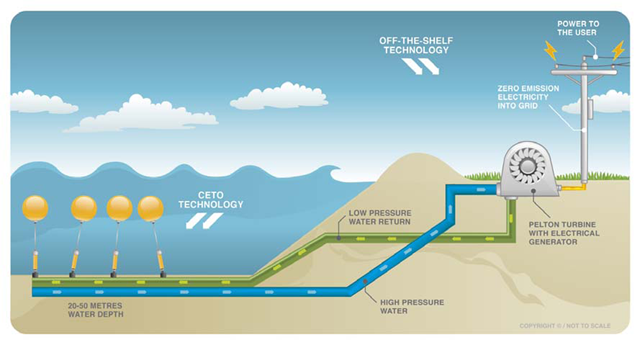 This CETO (From the Greek word for sea monster) system distinguishes itself from other wave energy devices by operating out of sight and being anchored to the ocean floor. An array of submerged buoys is tethered to seabed pump units. The buoys move in harmony with the motion of the passing waves, driving the pumps which in turn pressurise water that is delivered ashore via a pipeline. High-pressure water is used to drive hydroelectric turbines, generating zero-emission electricity. The high-pressure water can also be used to supply a reverse osmosis desalination plant, replacing greenhouse gas emitting electrically driven pumps usually required for such plants. Read more about the technology & watch videos at the company website. Western Australia needs to reinvent itself rapidly to survive & prosper in the future. We need to leverage our abundant natural resources into a low cost/long life energy infrastructure. A carbon neutral low cost energy infrastructure could be built in this state given its vast amounts of potential natural energy sources and raw material resources that can be traded to help finance the development of the infrastructure. What does the most efficient carbon neutral energy infrastructure for Western Australia look like given the technology that we have available today & the political will? You have the chance to power your own city. How will you do it? Energyville is an online game that lets you choose from a wide range of energy sources to meet the demands of your very own city. Alternatives. Renewables. Oil. Gas. What should be developed? Is conservation the answer? See the effects your choices have, then share those results with others. Energyville is a lot more than just a game. It's a chance to better understand & discuss the energy challenges we all face, then find the inspiration & know-how to solve them.